Hi everyone, I hope you’re all doing well! 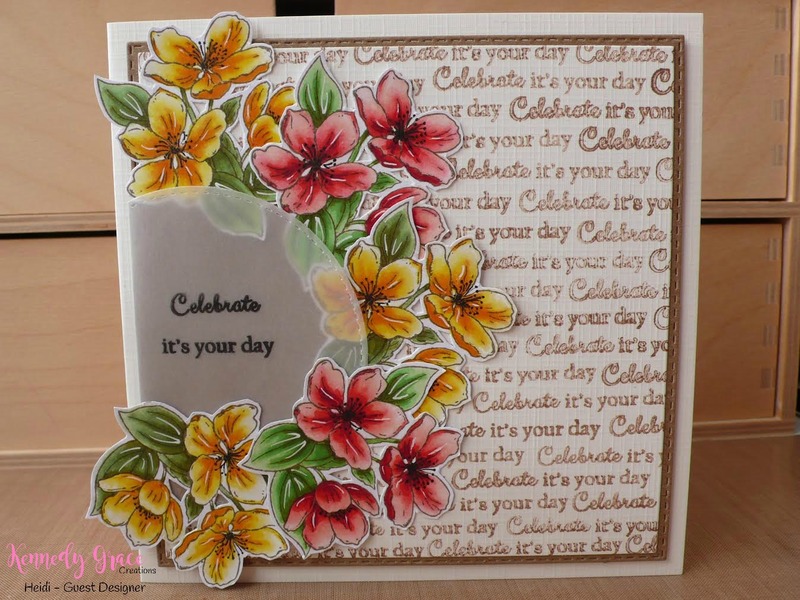 Today I have my third and last guest design post for you all. 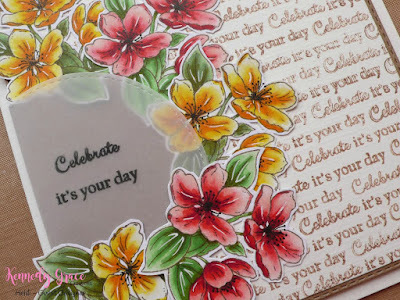 For this fun and colorful card I stamped one of the pretty flowers from the “Grace’s Little Note” stamp set from Kennedy Grace Creations with Memento’s “Rich Cocoa” ink on Copic friendly paper. After coloring all of the flowers with my Copic Markers I used a black Copic Multiliner 0.3 on the hearts of the flowers and created some white lines on the flowers and the leaves to make them more interesting to look at, using a white Gelly Roll pen. 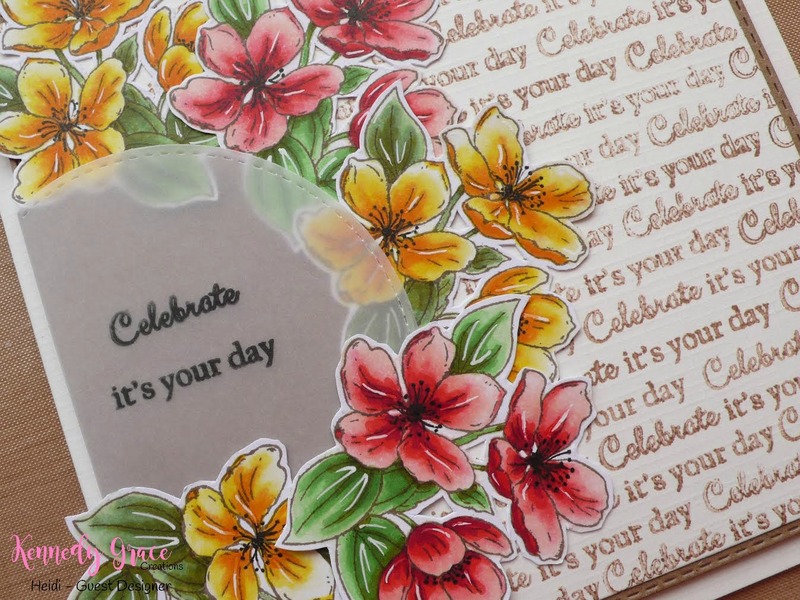 The background was created very easily by stamping one of the sentiments from the “Grace’s Little Note’s” stamp set repeatedly on some crème coloured linen textured card stock. The same sentiment was used on the vellum part with black ink. I’m happy and proud that I can tell you that Michelle asked me to join her DT so you will see more from me in the future!